We look forward to welcoming dancers who here for the La Mirada Tango Meeting as well as dancers from the island and those here on holiday. Music is played by DJ Lorenzo Bertolini. 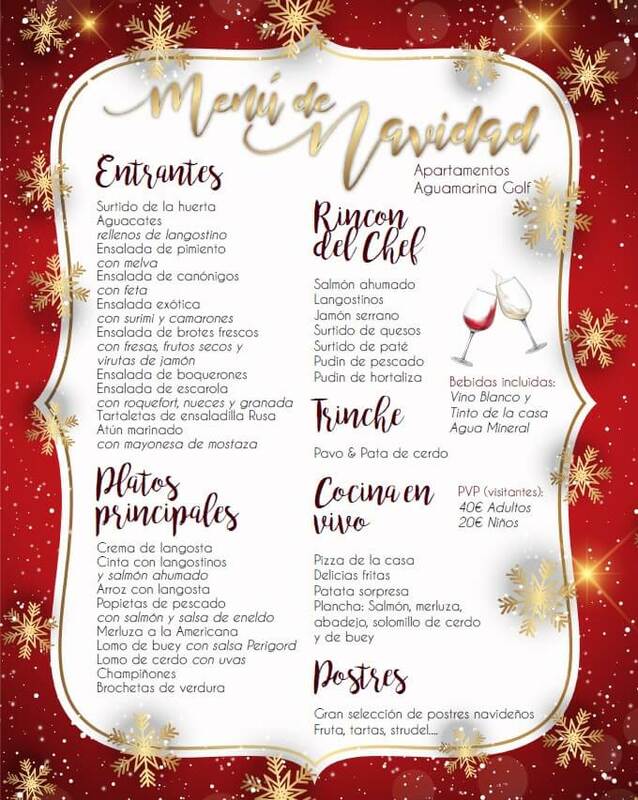 The AguaMarina is also offering guests to the the milonga the chance to take part in the Christmas Day evening meal, which starts at 7PM. The menu follows. IMPORTANT: contact form If you want to take the Christmas Day Meal with the hotel guests, please contact me using the on this website in advance. The prices are 40 EUR for Adults and 20 EUR for children.